In 2005 Daan was appointed professor of Public Health Research at Wageningen University and vice-president of the Health Council of the Netherlands. In 2009 he was awarded Academy professor of the Royal Netherlands Academy of Arts and Sciences for the period 2010-2014. Daan’s reseach is focused on diet, lifestyle and cardiovascular diseases and he made seminal contributions to nutritional epidemiology and preventive cardiology in highly cited publications. He is also interested in translation of research to health policy as exemplified by his position in the Health Council. From 1988 to 2005 he held various positions at the National Institute for Public Health and the Environment (RIVM) in Bilthoven, for example head of the Center for Epidemiology, director of the Public Health Research Division and director of the Nutrition and Consumer Safety Division. He was RIVM professor of Public Health Research at Wageningen University from 1994 to 2005 and Nutrition Foundation professor of Nutrition and epidemiology at Leiden University from 1984 to 1994. 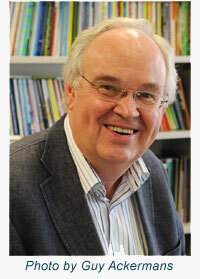 He was assistant and associate professor at the Institute of Social Medicine of Leiden University from 1977 to 1988. Daan (1950) graduated as human nutrition expert from Wageningen Universtity in 1974, and obtained his PhD there in 1978. His thesis was about risk factors of cardiovascular disease in schoolchildren. In 1981 he became Master of Public Health from the University of Minnesota, Minneapolis, USA. Vice-President of the Netherlands Health Council. Daan has been awarded various prizes for his research in both the Netherlands and internationally. Among his awards are the Academy professorship of the Royal Netherlands Academy of Arts and Sciences awarded in 2009. He received the career award of the Netherlands Federation of Medical Scientific Societies in 1999, and the 1998 Silver medal of the European Society of Cardiology for his contribution to preventive cardiology. He also got the 1997 Honor Award of Excellence of the Oldways Preservation & Exchange Trust, Boston, U.S.A. for his research on the health effects of the Mediterranean diet. Daan´s favorite hobby before he became heavily involved in research was playing draughts. In 1968 at the age of 18 he became youth champion of The Netherlands in rapid playing. This means that both players have only 10 minutes each to finish the game. In 1969 he became student champion of The Netherlands. A journalist wrote on 6 February 1969 that Daan´s success was due to his excellent tournament mentality: cool-bloodedness in critical situations, perseverance and fighting spirit. Daan likes gardening and biking, and loves the music of Johann Sebastian Bach.